There are few things I like more than knitting a colourwork allover. 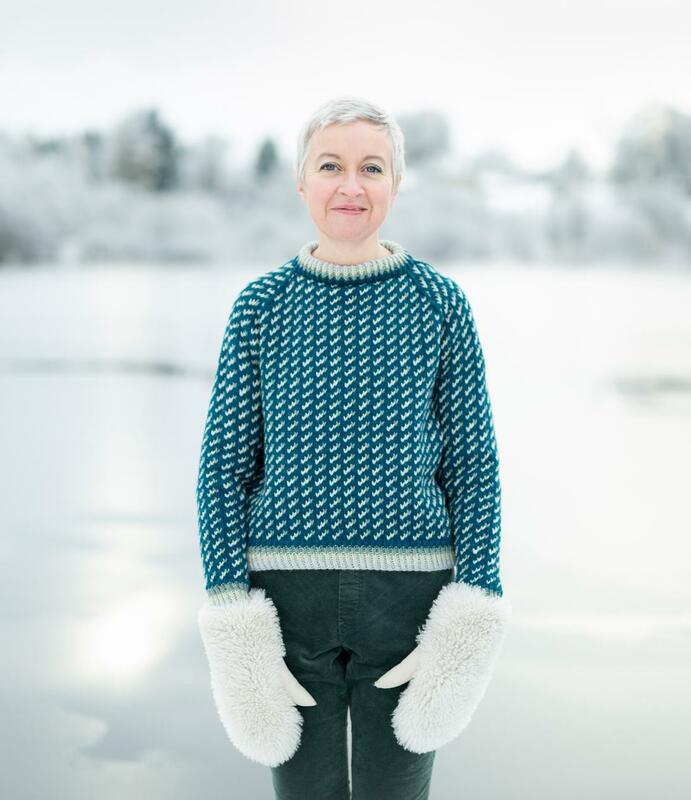 This chart recalls those of traditional Norwegian lice patterns, but the shades I’ve chosen lend the pullover a subtle, tonal feel. As well as referring to the ridges that mark lines of seed planting (which this pattern recalls) in Scots and Shetland dialect, riggit means rigged out or dressed". To be weel riggit is to be well dressed - which you’ll definitely be in this pullover! Pick the size above your actual bust measurement with at least 10cm / 4in positive ease. Worn in the first size with 13cm / 5in positive ease. Ardnave colourway features Àrd Thìr shades Ardnave, (A) Camusdarach (B), Kiloran (C) and Vatersay (D). Camusdarach colourway features Àrd Thìr shades Camusdarach (A); Firemore (B); Huisinis (C) and Kintra (D). This garment has been designed to be slightly cropped. If you wish to add 5cm / 2in of length, you'll need to buy an extra skein in shade A. If you wish to add more length, you may need to acquire 2 extra skeins in shade A and consider an extra skein of each of the contrast shades. Your yarn is packaged in an 8oz canvas quality Knitting Season tote. You'll also need a copy of the Weel Riggit Pullover pattern, available with your Knitting Season Club subscription.